Teaching with a Twist of Liam: Scattergories in Writing Time! Here's an adaptation of a great board game for your English program. I've used Scattergories as a warm up for my classes and the students LOVE IT. Students are put into teams (my class is in house groups so thats already sorted for me) and they are given about 4 categories. Each team works from the same categories. These can be made up to match your classes needs or a theme you are about to start/finish. Some examples would be: a food, something that fits in a shoebox, something that is round, something you find at the beach, an adjective... you get the idea. Call out a letter and each team needs to come up with ONE word for each category that starts with that letter. They cannot use an answer for more than one category. When the timer is up (I give about 2 minutes for 11 yr olds), they share the ONE answer they have for that category. If no one else said the word, they get one point (yay!). Any teams that have the same answer recieve no points (aw, man!). That means teams need to work quietly so the other teams don't hear their answers. I can see you smiling already. It's important to mention that the more teams you have, the more likely it is that answers will cancel out and, take it from me, choose friendly letters when you start out. Not many Third Graders will come up with answers for each category if you give them letter 'X'. That's just mean. 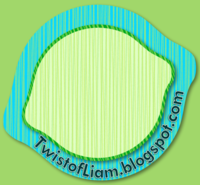 So for Team Liam, we might write for the above categories and the letter 'R': Rhubarb, Rat, Rubber ball, Rocks, Rude. Play as many rounds as you feel appropriate. Pros: quiet working, cooperative, involves lots of thinking, requires very little material, promotes creativity. Cons: if you have students play individually, it takes FOREVER to score (trust me), students love it and don't want to stop playing. So STARTING A UNIT on oceans? Getting into a big CREATIVE WRITING task? Have a few OVERUSED words in your class? This just might be what you are looking for. Cheers! Oh I have just the thing for "over used" words in the class. I posted about it not too long ago. If your interested you can read my post Said is Dead.